Looking for an urban oasis at an affordable price? Low condo fee and 1 deeded parking spot. This garden walkout unit features a 21' x 21' fenced in patio with perennial plantings and a couple trees to lightly filter light. Perfect for grilling and entertaining. Exposed brick wall, 8'+ ceilings, full-sized windows, and updates throughout bring the d 233;cor to the next level. Two private entrances and outside storage space are nice extras to make living here convenient. Bedroom has a surprising amount of storage space in built-ins and 2 large closets. Laundry is just outside the front door. Silverline bus route is a block away. This is a pet-friendly property and neighborhood. Stop by this tree-lined street address, less than a block from trendy restaurants, to see this gem for yourself! Offering a stunning, 2bed/2bath, corner unit w/ garage parking at Sepia- a full service building located in the heart of South End's Ink Block. Spanning over 1139sf, this home boasts floor to ceiling windows overlooking vibrant Harrison Avenue, an abundance of natural light, hardwood floors, chef's kitchen, custom window treatments, custom closets and first class amenities literally steps down the hall 8212;Fitness Center and private Club Room with full kitchen. From the common Roof Deck enjoy the 360 degree views, 2 gas grills, and outdoor kitchen, perfect for entertaining. The Garage has more than just parking: bike storage, a Pet Spa, auto detailing service, and convenient access to Whole Foods underground. Sepia is a pet-friendly, non-smoking, professionally managed, elevator building with 24hr concierge. Imagine all the modern day city conveniences at your door step: Whole Foods, CVS, Core Power Yoga, Urban Hound, Bar Mezzana, SOWA Market, dog parks, coffee shops and more! 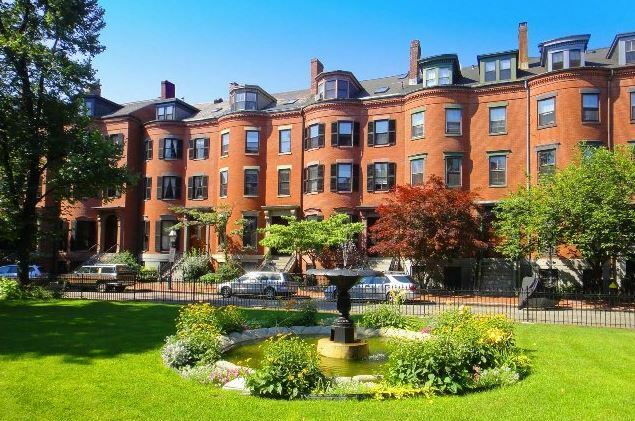 Spectacular Parlor Triplex by one of South End's premier developers, Renaissance Investments. Open concept living/dining/kitchen highlighted by 10'7 high ceilings, custom mouldings, fireplace and woodwork on the main level. Featuring state-of-the-art chef 8217;s kitchen including Wolf Range and vented ceiling hood, Sub-zero Refrigerator/Freezer, Marvel beverage center, custom cabinetry, waterfall island, and hardwood floors. Dining room showcases a herringbone hardwood floor for added elegance. Master Bedroom with Juliette balcony, walk-in closet, master bath with dual shower heads and rain shower, leathered marble dual vanity and radiant flooring. Two sun-filled guest bedrooms have ensuite baths w/quartz vanity, shower surrounds in onyx tiling, tile floors. generous closet space, hardwood floors and views. Family room w/wet bar & fireplace leads out to magnificent landscaped private patio. Garage parking is available for either sale or rental; ask agent for details.